Although many people have concerns over the presence of lead and copper in their drinking water, few know what the United States Environmental Protection Agency actually said about the presence of lead and copper in drinking water. Hence the need for this water testing blog entry. “Lead and copper enter drinking water primarily through plumbing materials. Exposure to lead and copper may cause health problems ranging from stomach distress to brain damage. On June 7, 1991, EPA published a regulation to control lead and copper in drinking water. This regulation is known as the Lead and Copper Rule (also referred to as the LCR or 1991 Rule). Water Metals Check — Great for letting homeowners know if their water contains ANY metals such as copper, cadmium, zinc, iron, cobalt, nickel, etc. Water Metals Check will not identify which metal the water contains, but it does give homeowners the ability to find out if they ought to perform more quantitative water testing for metals. 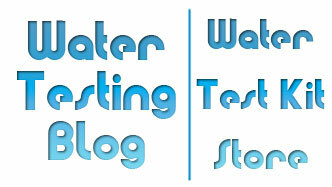 Lead in Water — Very simple test which indicates whether water contains lead in concentration of 15ppb or greater. John’s Copper — Excellent home water quality test kit for detecting copper and ONLY copper in drinking water. 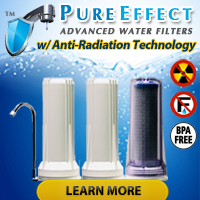 The manufacturer of this product claims it will not yiled false positives if exposed to other metals and that the test will detect levels of copper in drinking water as low as 0.05ppm. Nice site. There’s some good information on here. I’ll be checking back regularly. Don’t forget what is probably the single most important item to mention when a homeowner takes a lead sample. They should take a First Draw sample to check for any lead that may be in the home – take a one-liter sample in a HDPE type container after the water has sat undisturbed in the lines for at least six hours. Nitric acid to preserve to a pH of less than 2.0. If you don’t take a first draw sample, then you’ll be checking the lead that’s in the source, not the home. (a flush sample). Also, lead is a primary health concern, but copper is a concern with respect to corrosive pipes. pH should be between 6.5 and 8.5 for drinking water.